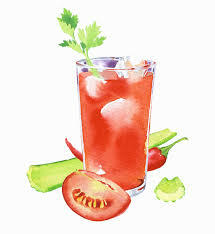 Join us for a Head-to-Head Bloody Mary Invitational Competition! Winner to get a B.I.G. Trophy and bragging rights to the city as L.A.'s Best Blood Mary in the Business. 25 of the best bars and restaurants are invited to bring their bloodies to Salt's Cure for a one-day event with judges from the food side, the booze side, and the blogger side, and MiniBar having the final say on the last round. Line-up includes Redbird, Cole's, Kali, Little Dom's, Big Bar, Hearth and Hound, The Cha-Cha Lounge, and more. Salt's Cure will be doing their famous griddle cakes and fish tacos, and other small plates, happy hour style. Tickets are $35 per person and includes your choice of 3 small plates. Booze and beverage will be extra, but there will be plenty of bloodies available for purchase. Head to head- one winner, one loser, or two losers every round, till we are down to one--the Best in the Business. MiniBar will be doing follow-up competitions for other B.I.G. Awards with our Bar Insiders Panel- Chefs, Sommeliers, Bartenders, Photographers, and writers, headed up by Jeremy Allen- Bar Boss, Somm, and Booze Monkey at MiniBar Hollywood. Drew Langley from Kali and Danielle Mc Kee from Wine Warehouse; Esther Tseng from LA Times & Eater etc; Betty Fraser from Grub; Lesley Jacobs Solmonson - Food and Drink Journalist and Author "12 Bottle Bar"; Cari Ha from Big Bar; Ria Soler from Frederick Wildman; Mikki Kristola from Varnish / Broad Stories Beyond the Stick Podcast; Mary Bartlett from Ace Hotel; Hope Ewing - Writer and Author: "Movers and Shakers: Women Making Waves in Beer, Wine, and Spirits"